While it may feel daunting at first to tackle filling up your social media schedule, it’s not as hard once you get a system in place and have go-to resources. The typical rule of thumb when sharing content on social media is 20% your content and 80% curated content or the 5-3-2 rule (for every 10 posts=5 others+3 you+2 personal/non-work). This is a loose starting point. No one is going to notice if you are if you are not exact, however they will notice if it’s just your material ALL the time. Let’s start with the most important part of your social media YOUR own content. You want your content to always shine on your channels, make sure you are sharing your your own blog posts, observations, promotions, etc. Whether you are planning your social media content for a week or month, it’s best to start with what you have to share first and then fill in around your content with other curated content. Below are content areas you want to mix into your social media schedule. What advice or expertise to you want to offer to your audience? 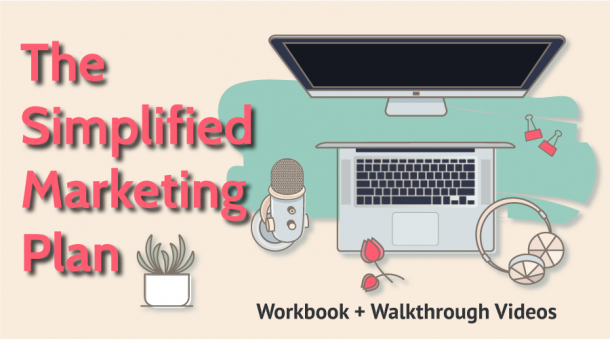 This can be taken from your blog posts, newsletter, inspiration from working with clients (generalized or case study), inspiration from reading an article, or even observations from explaining your business to a friend. Keep a swipe file of when you share advice or explain something that fits your business, and you can pull from there to make a social media posts. It does not have to be all “fresh” ideas, you can even break down parts of your existing blog posts or newsletters to share. Direct promotion of your blog posts, opt-in, newsletter, webinar, etc. Whatever you have on your website or you are offering for free that you want to promote on your channels. These posts always end in a direct call to action to learn more about what you are promoting. Direct promotion of the product or service you are selling. These are posts where you tell people directly to go buy your thing. You tell them about the thing, why they should be interested, and how to buy it. Do you want to have more insight into your audience? You can ask them straight out what they are struggling with, or come up with a poll for them to answer. Questions are always a great way to encourage engagement among your audience and to gain some insight. It’s also a good idea to sprinkle in some cross-promotion of your social media channels. Let people know that they can find you on Instagram from your Twitter account, or they can find you on Snapchat from your Instagram account, etc. This does not necessarily have to be part of your weekly strategy, but it’s always good to sprinkle in. Show a more personal side. This might be frustrations, vacation, something you are doing for fun, a behind the scenes of how you work or your workspace, things you do for inspiration, etc. These are less directly related to your offerings. This shows the human side of your business, so people can feel a deeper connection with you and your brand. Different social media channels will require a different mix and different volume of posts, so you will need to establish your social media frequency for each channel and then figure out how you want to incorporate the above categories. Once you have planned out what your business posts will be, you want to fill in the rest with curated content (ie other content not your own). Content curation is finding, organizing, and sharing digital content for your target audience, focusing on specific topics relevant to your brand. Curation is an important part of your overall marketing strategy. Content curation provides additional value to your audience, through sharing information that is relevant and helpful to their needs/likes. You want to think of other needs your audience might have around your product or service, and provide that to them through your curated content. What are other topic areas you think your clients may be searching for related to their business? Example #2: If you sale children’s toys, what are some topics parents/clients might be interested in? What are parents who buy your toys also concerned with or would also be purchasing? Still not sure what to share? Check out a competitor for inspiration. A quick glance of their Pinterest boards in particular can give you a good idea of topics and content they are sharing. It can also be a good place to find sources of those topics as well. You can find tons of content from a variety of sources, which I will list below. I’m the kind of girl who believes in two birds one stone, so the more of a personal connection I can make with what I’m sharing the better. If you can support someone you see often around the internet the better, and the more likely you are to make a new friend. You are sharing content anyway, why not share content of your supporters or people you want to get to know better. 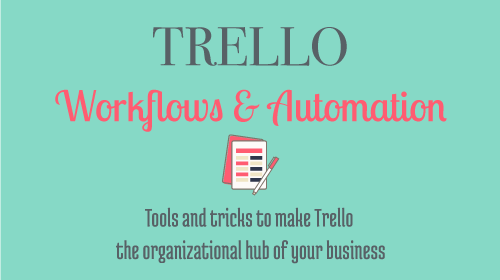 I personally use Feedly to organize blogs I follow, but there are many, many other resources to do this. I like Feedly because I can make my own categories easily and easily click outside of the app to the direct source. I really dislike when articles are shared from within the reading app, because than the pin, tweet, etc opens to that app not to the webpage directly. I have different lists: Biz Besties (those who I’ve engaged with or I’ve noticed have shared my content), social media resources, and business resources. Buffer (and some other schedulers) also offer RSS feeds right in their scheduling apps. Buffer allows you to add 15 blogs to pull resources from within the app, so no need to have to open another program to have access to great resources. This is nice for one click sharing. I use my Pinterest notification in a similar way. You can get notification of when people pin your pins to certain boards. I typically check out those boards, and follow the board if it makes sense to what information I want to share from Pinterest. I also do a quick look for any pins I can repin from that board (again I always click through to check the article) and I will do a repin. 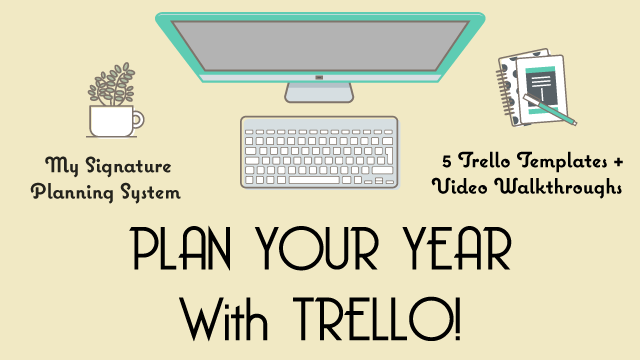 I’m sure you subscribe to a few newsletters:) Why not make a extra use of them?!? Generally as part of a newsletter the sender will share posts they have written or other articles, anytime I sit down to read these, if I find it relevant to my audience I will share. All newsletter of course will not be necessarily useful to your audience but it can be a good resource. A great helper in filling up my schedule is Facebook Groups and in particular promo days. Not all groups have promo threads or even allow promos, but the ones that do, can be a goldmine of content. I typically save the promo thread, share my content, and then come back later in the evening and go through to see what articles fit my content strategy, and schedule them to share. I use Trello to keep track of what promos are happening what days (and also what I’m sharing in that group for the day). Not only does this help you engage with people in your industry and expand your own content reach, it’s a one-stop resource to fill up your schedule. The more tightly aligned the group is to your industry or audience the more helpful this strategy will be. 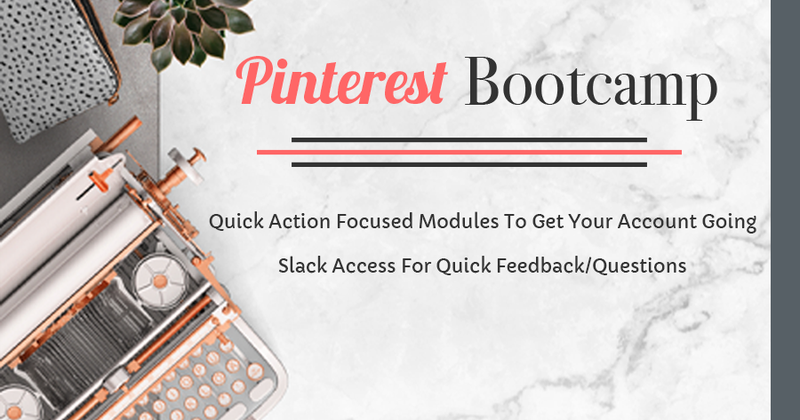 Not only are Pinterest Group boards a great way to distribute your content, but they are also a great way of finding relevant content to repin. Again the more tightly aligned the topic is to your audience, the easier it will be to find content you can share. I typically have a system of where I schedule a few pins to a group board (1 mine 3/4 others) and then I take a few minutes to schedule repins from that board to my relevant boards. In addition to saving blogs to a list, you can also make lists of your favorite Twitter profiles for a list of content to retweet. Again, think who you want to build relationships with and who regularly shares content that would also fit your audience. I try to make it a habit (though I’m still building consistently) of re-sharing not just blog posts, but other promotions of entrepreneurs who I have made a connection with or who have been clients. Make the most of your engagement by going a step further and sharing something a contact is sharing or promoting. I’m a strong believer in community over competition. While you want to make sure you aren’t spamming your audience and you are providing them value, I also think there is a place for promoting your fellow entrepreneurs here and there. Establish go-to sources to become a content curating machine. Grab these tips. To save time, I highly recommend using automated social media scheduling apps and utilizing batching. There are many options out there to schedule social media, this post gives a comparison of 8 popular social media schedulers. There are pro and cons to all, it’s really about what works best for you, your business strategy/goals, and your budget. 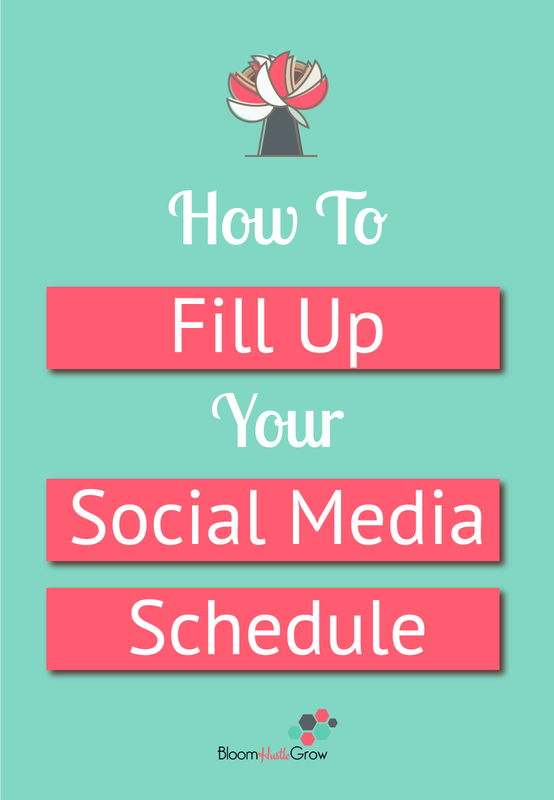 Social media scheduling is one of those activities that batching works great for. Sit down, plan it out, and schedule those posts in one sitting, whether it’s for a week or a month in advance. Read this post for a complete breakdown of my social media batching process. Establishing go-to sources for your curated content and habits in place for interacting with those sources, the easier it will be to schedule in advance. Grab the Social Media Content Planning Guide to get started in planning out your content schedule. Each social media channel you are active on will require a little bit different approach and volume so the worksheet set should be printed for each active channel. Click below to get your guide. I'm Ready To Get A Plan!